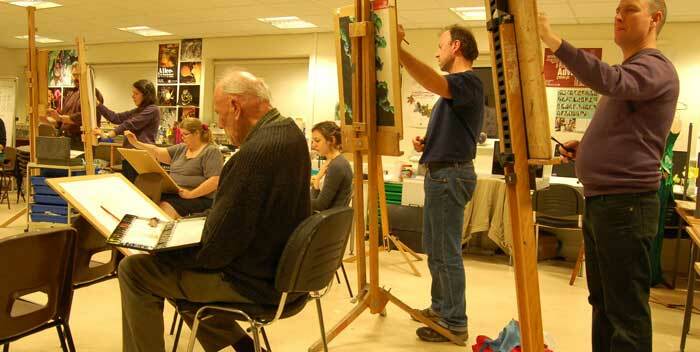 My life drawing group has been running in Sevenoaks for twelve years. It’s a friendly, informal mix of amateur and professional artists and always open to new members. Life drawing seems to be popular amongst people of all age groups, with several classes in my local area and many across London. It’s a low-tech discipline that demands concentration, but most people find it rewarding if they practise regularly. Some members of our group have been coming for years, others drop in occasionally and some just try it for a few weeks. Prospective art students will turn up now and then to get some work for their portfolios. People work however they wish. There’s no tuition and no agenda. But we do have cake. Freshly baked every week made by one of our long-standing members – one of the few cake making life drawers still practising today. If you are in the Sevenoaks area and would like more information about our group, drop me a line on the contact page.